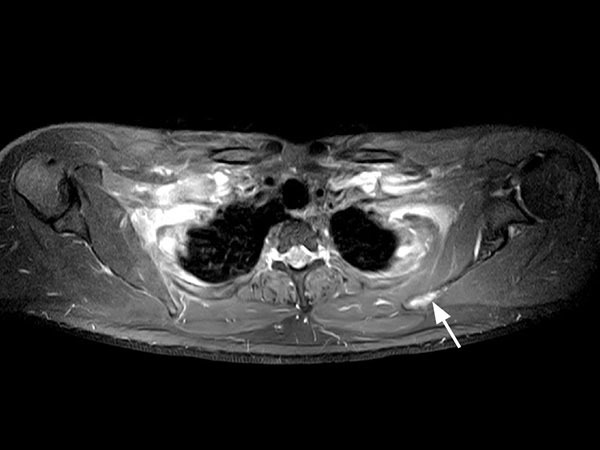 A 33-year-old male with history of non-Hodgkin lymphoma undergoes an MRI exam on Ingenia 1.5T to visualize clinically suspected recurrent disease. 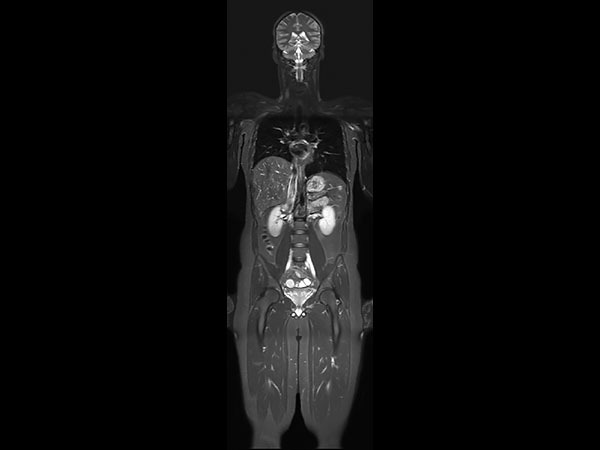 Whole-Body MRI was performed using T1W TSE and STIR imaging (4 stations, matrix 400x400, 6 mm slices). 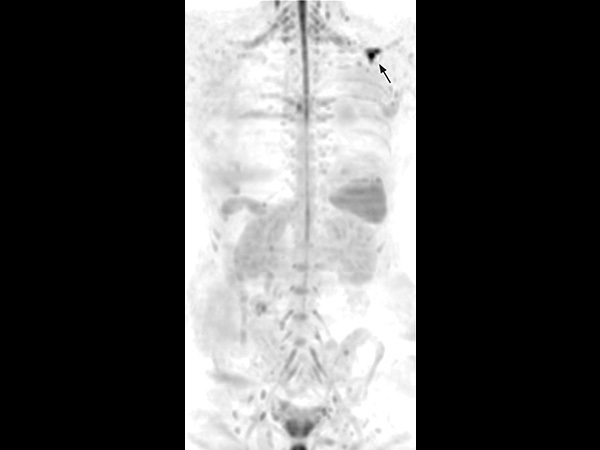 Additional whole-body diffusion imaging (3 stations, matrix 192x192, 6 mm slices) with MIP unmasks a focal area of diffusion restriction in the left scapular region. Subsequent contrast-enhanced 3D mDIXON imaging reveals a bone manifestation of a lesion in the left scapular angle. Furthermore, multifocal splenic infiltration is depicted. Note that the splenic lesions are veiled by the high physiological background diffusion signal in splenic tissue. The findings are compatible with skeletal and splenic tumor recurrence of non-Hodgkin lymphoma. 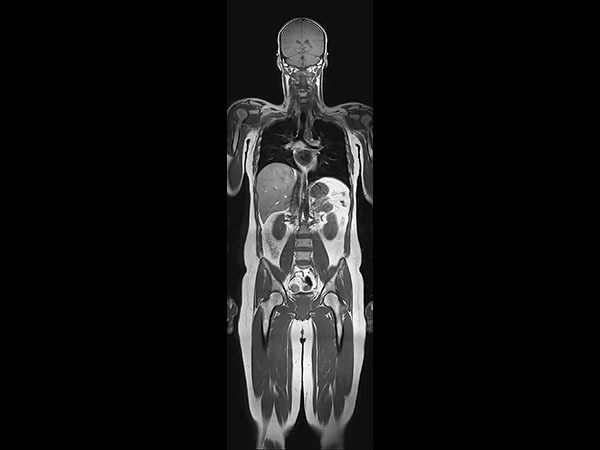 Further total body follow-up imaging according to therapeutic regime is advised. 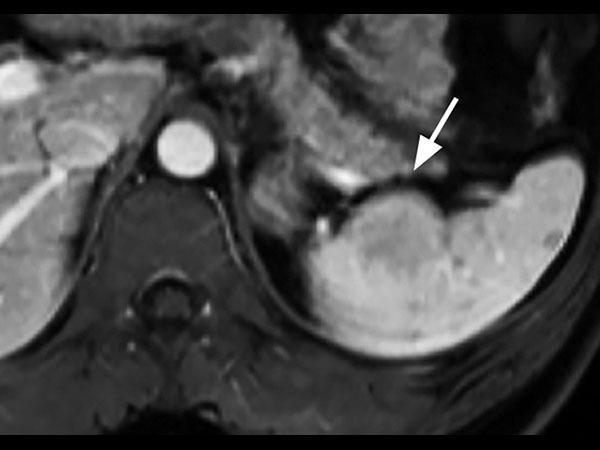 Whole-body MRI allows rapid visualization of lesions in this lymphoma patient. A finding of multifocal organ manifestations has a decisive impact on further patient management and therapeutic regime. The fully digital Ingenia 1.5T MR system allows for rapid whole-body MRI with homogenously high imaging quality in depicting these lesions. Additionally, state-of-the art techniques such as whole body DWI can be included in the exam protocol, which further enhances the capability for visualizing lesions in oncology patients.